The band, the music, and the artistry of making the instruments for Sawyer’s Dream. A documentary by Stone Blake and Niholas Simon. Coming in July 2019. Sky Athmann (songwriter / musician / producer / arranger / instrument repair technician / luthier) of Sawyer’s Dream has partnered with musician Joe Filipovich of Hayburner Guitars, and master craftsman / luthier J. Scott Wesseling to bring you this incredible documentary on the workmanship and mastery of building and restoring custom and vintage guitars. 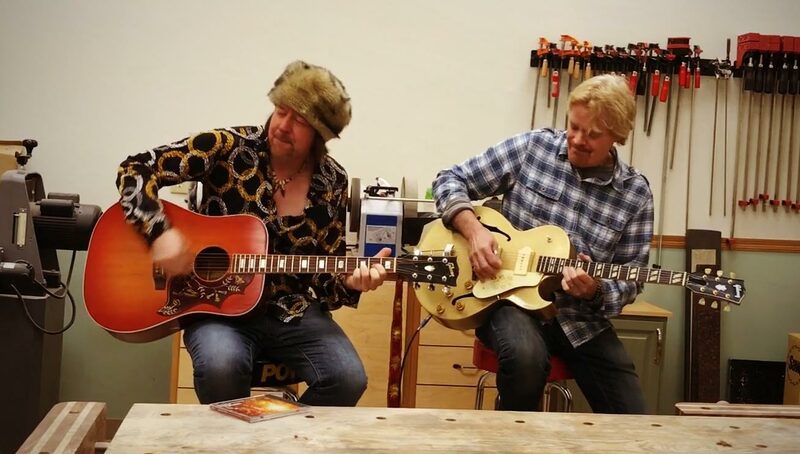 Here’s a behind-the-scenes clip of Sky Athman and Erik Newman of Sawyer’s Dream jamming on restored vintage guitars at a woodworking shop Woodcraft of Minneapolis.